The human body is made to be self-healing. Some say it also "ages," but to me that means we let it wear down by not giving our bodies what they need to thrive. Good health not only makes us feel stronger longer, but it also helps our pocketbooks—saving us money on doctor visits, medications, and health insurance. Although it doesn't make sense to withhold good health from our bodies, we do it all the time. Indeed, some of us take better care of our vehicles than we do our bodies. Knowing something about how vehicle engines work helps us to pick a good mechanic and also encourages good maintenance practices. Just so, knowing something about how our bodies work can help us treat it better and also guide us to choosing a good doctor or health practitioner. Starting with the role of water in general, this article will move to the specific way in which water helps our kidneys clean the blood—our body's transportation system. Water washing in and out of cell walls pulls out wastes and puts in nutrients, keeping cells healthy and clean. 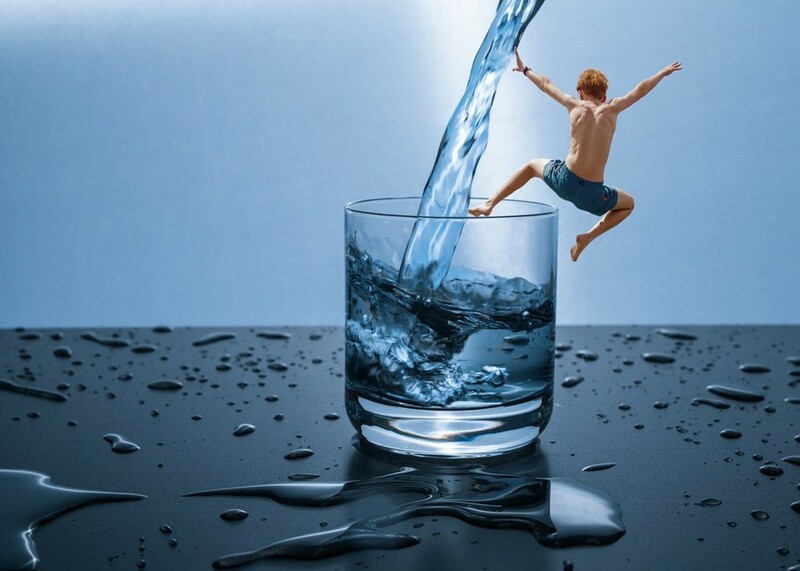 Water moves all kinds of nutrients, carriers, warriors, and wastes throughout the body. Water plus its carriers is called blood. Electrical messages, by which our body communicates with itself, are conducted through the medium of water, which enhances the capacity of the nerves that send them. This is why the brain contains so much water (77%). Water also keeps our bodies plump and well lubricated. People with too much water bloat up (edema). People with too little grow thin and wrinkled (dehydration). Both conditions either affect or are caused by unhealthy kidneys. To clean waste products from the blood and get rid of them. To balance the salts in the body, keeping the makeup of the blood liquid - similar to that of the ocean (from whence we originated) - and equalizing the blood pressure. To adjust the pH of the blood, keeping the body slightly alkaline, rather than acidic. This helps beneficial bacteria to function properly, and keeps the mucous walls of organs properly plush (rather than eaten away, like acid does). It also prevents most of the harmful microorganisms from reproducing, since most of them need an acidic environment to do so. Follow the diagram below, as I explain how the kidneys work. The heart sends oxygenated blood to the kidneys through the renal artery (3), which spreads out into a network of capillaries (2) in each kidney. Each capillary network has its own medulla (1) - a collection of tubules capped by its own "working space" called a nephron (13). The capillaries catch the larger, healthy blood components that will go back into the blood, and send the finer blood to the nephrons. The nephrons check to see if there is enough liquid. If not, more is added. If there is too much, it takes some away. It also checks the pH balance. If there's too much acid, the nephrons make it more alkaline and vice versa. Then it sends the discarded liquid and wastes through the medulla tubes to a larger capsule, the renal pelvis (6), where urine (as it has become) collects and is forwarded through the ureter (7) to the bladder. 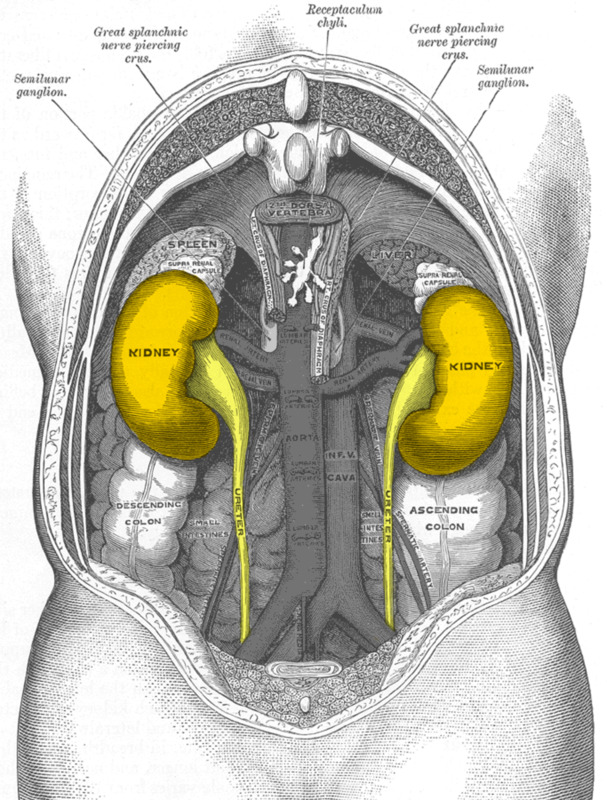 The bladder collects urine from both kidneys to send out of the body when it's full. Meanwhile, the newly cleaned and refreshed blood flows back into the bloodstream via the renal veins (4). The kidneys clean approximately 20% of the blood that is pumped through the heart with each pump. Lots of great links on this page for various kidney dysfunctions, disease statistics, risks for children, and advice for health care professionals. Our lives switch between being extremely active, when both kidneys are needed to function fully, and being more relaxed, when one will suffice. On an average day the kidneys reclaim about 1300 grams of sodium, 400 grams of sodium bicarbonate, and 180 grams of glucose. The main reason we have two is to keep the workload balanced. Too thick blood and the formation of kidney stones: Comes from not drinking enough water. In order to make the blood liquid enough again, the kidneys take out salts and minerals, which sometimes harden into "stones" prior to excreting them through the ureters to the bladder. Blood too acidic: When we eat too many animal products or drink too much coffee and other acidic liquids, the kidney changes the pH back to its stasis point by sending a chemical message to pull balancing salts from tissues. Blood that is too acidic will eat at the lining of organs, including the kidneys. Overabundance of toxins: Bacterial wastes flowing through the bloodstream to the kidneys for filtration often carry live bacteria and viruses with it. If the blood is slightly acidic as well, these bacteria can proliferate in the kidneys and create disease there. Pressure from constipated colon: A colon that's constipated increases in size, pressing against neighboring organs and preventing them from functioning properly. The ureters - the tubes that transport urine from each kidney to the bladder - are located close to the colon and can be blocked by an expanded colon. Urine then backs up in that kidney, which is very painful. Tuning into the needs of your body is a great way to become healthy. Hatha yoga taught me what a relaxed, tuned-in body feels like, and how to notice it the minute something was off. From there I learned to question, research, and experiment to see what my body liked best in terms of food, stress levels, attitude, and exercise. Now I'm 60+ years old and nearly as healthy as I was as a young adult. Start noticing how your body feels day to day. If your mouth gets dry, showing it wants water, give it water. If you're restless or sluggish, give it exercise. If you're falling asleep at the computer, take a nap or go for a walk to perk up. Drop any old obligations you're carrying that don't feel joyful anymore. Stop criticizing, both yourself and others. 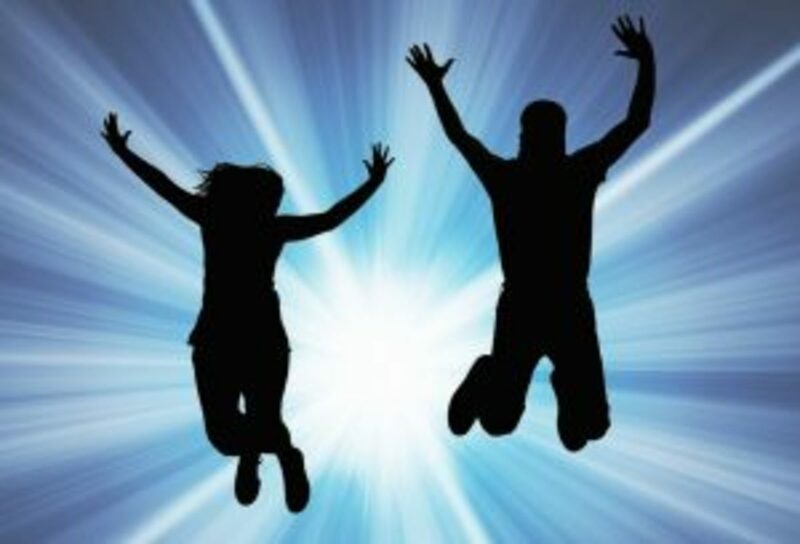 Let go of any failures or disappointments that stifle joy in your life. These are the attitudes most commonly associated with kidney problems. Drink less alcohol and coffee, no soft drinks, more water - good clean, i.e. filtered water. Add a sprinkle of sea salt to your water to keep the salt/water balance and to take away some of the acidity most drinking water has these days. Clean out any blockage you have in your colon. If you are easily constipated, then change what you eat. Avoid GMO foods or meat that was fed with GMO grain mixes. More and more studies are emerging that show severe negative effects from GMO's. Remember that your body knows how to function and take care of itself beautifully. Your job is to do what feels good to it, instead of resisting the changes that keep it healthy: Eat well, stay joyful, exercise in a fun way, drink lots of water, keep yourself clean inside, and appreciate the body you have. GMO research on pigs reveals severe damage caused by GM soy and corn. Whether the research is thorough enough or not, the results should caution us. 9 Health Benefits of Spinach & Why You Should Eat More! Yes, FullOfLove. Think about how a kidney stone forms. It starts with an irritant, then builds up around it, becoming harder and ultimately more painful as it grows. Now translate that into a softer, more emotional form. There will have been an experience, then subsequent thoughts about the experience (brooding), then discussions about it and defensive reactions that build up and harden one's attitude about it (or the people involved) over time. What shows up in your body is a literal translation of the ongoing emotional attitude that triggered it. @awardlover - Thank you for the link! @mary615 - I'm sorry you lost a kidney, but it's great that you're drinking more water! It will help you in other ways too. Thanks for the share. I lost a kidney due to a staghorn stone. I never drank much water, but now I do to keep my one kidney working well. I wrote a Hub about losing my kidney. I do very well with only one kidney, but if something happens to it, I'll be in real trouble! Great Hub; I see you got deserving HOTD with this. good hub. I'm linking yours to mine for more information for my readers. That's a great analogy, CCahill. I'm noticing that there's huge interest in seeing that human body manual built up again and that's a great thing. Our health and insurance systems have been deteriorating without it, but as people learn more about their bodies, hopefully we can turn that around. Congratulations on being chosen HOTD, Watergeek! Excellent work. Hubaholics rock! We think alike Watergeek. Its almost as though we lost the user manual that was originally provided with our bodies at the dawn of time. It seems we are slowly bringing it back and Nutriton RDA's RNI's and your kinda info on Water req's seem to be gradually building back up the Maintenance chapter of the manual. Congrats on this Hub of the Day award and thanks for important information! Thanks y'all - I had to laugh when Happyboomernurse said she'd voted all but funny. Well, CrisSp and Amethystraven, there is a type of water purifier that produces alkaline water with minerals intact. I don't have one, but I wrote a hub recently about water filters for travellers and researched it with that hub. It sounds really interesting and healthy. When I buy my next water purifier, that will be the kind I get. This is a very useful article that is definitely worthy of Hub of the Day. Congratulations and great job! Congrats on earning Hub of the Day award for this informative and well presented article about the importance of maintaining good kidney health. You've taken a complicated topic and made it seem interesting and easy. Great, well researched and very informative hub. Have you heard of Travel Water (Alkali, Ionized, Anti-Oxidant water drops)? An acquaintance is selling this at $52 for 2oz bottle but I'm quite skeptic. I'm yet to research more about it and how exactly it can benefit us. I shall be following you for the rest of your awesome healthy hubs. Thanks. Excellent hub! First off, I always try to tell my dad how important water is, and even though he feels better when he drinks it, he quickly stops and replace it with Pepsi. I should point him to this hub. Second, I've been reading a lot about acid producing foods lately, and I've come to realize that many people live on acid producing foods. It's actually quite crazy. But I hadn't heard that "Blood that is too acidic will eat at the lining of organs, including the kidneys" and now that is stuck in my head and - I swear, my kidneys hurt. Lastly, very interesting point about the constipation. I'm going to head down and get a glass of water right now. Great hub! I was just reading about distilled water before I logged onto HubPages. I never knew that distilled water is actually good to drink. I was always told not to drink it because it lacks minerals. After reading about it, I think people's kidneys would benefit from drinking it. Of course people would have to eat veggies and fruits to keep necessary minerals in the body. I'm going to give it a try and see how it treats my kidneys and body. Voted up. Thank you Dana. Good luck to all commenters who have health issues. It makes such a difference to listen to your body! I absoluotely love how you work in information about lisening to your body and letting it work. I am doing that more and more now that I have so many health issues and I am on tons of medications. I am hoping to cut the number of prescriptions in half in a year's time. Hubs like this are just what I need to help me along. Very well written and extremely informative!voted up! I am type II diabetic and appreciate your work on the Kidneys and their function. I drink water as much as possible each day and know that it can also prevent diabetes from ever forming. It is a much required source of life and vital in our survival and in remaining healthy. Thanks for your great hub. Of course you may, Mary. Thanks for the honor. I'll check out your hub too. Thanks CCahill - Yes, I believe the body was made to keep itself healthy in perpetuity. We, ourselves, get in the way of it by not listening to its messages, believing others instead of our own intuition, eating badly, enduring too much stress, and even by mocking ourselves. I will be 62 years old next month. I don't get headaches, don't have digestive problems, barely get colds anymore, have good blood pressure and clear arteries, and have a flexible body. I haven't been in a hospital for about 30 years, except for my parents (both gone now) and carry no health insurance. I don't need it. I also keep a good, healthy attitude about my life and prospects, which translates into a healthy body. Thanks Joan - I appreciate the vote and the sharing. You bet your life, healthylife! Here are the organs that constipation can impair, depending on its location: Kidneys, liver, stomach, pancreas, spleen, adrenals, appendix, prostate. The large intestines come into contact with each one of them. And that's not to mention the major nerves and arteries/veins in the lower back that can be and are often blocked! Constipation plays a HUGE role in disrupting one's health. Great Hub watergeek. So very useful and important. Great hub. Thanks for SHARING. Congrats on HOTD! You did a real research and professional Hub here. I wrote a Hub on how drinking water can save your kidneys. May I link this Hub into mine. I would welcome a link back to this great Hub. I would give you the link but that is a NO-NO. Fantastic Hub, Its great to learn something from reading hubs, kinda kills two birds with one kidney-stone. Your intro interested me too, echoed many of my own sentiments. I wonder; 'Do you feel that immortality is possible? (Not talking the Sci-Fi type immortality and magic but more well maintaining our bodies. I have a hub about Hydration, Yours would probably supplement it well for anyone wishing to read an even greater level of depth, i will place a link into my Hub to here and share this via Hubpages. Fantastic Hub! Very informative, well written and so clear. The message come through clear as the light of day! Voted up, useful, awesome and interesting. Also sharing. Very useful hub! After going through a major illness I agree that you really have to listen to your body and constantly give it what it needs. You are right that it is a bad idea to just deal with things. I never thought about the fact that something as simple as constipation can have a negative effect on the kidneys. Really interesting well done hub. I love the part about listening to your body - that's great advice. Voted up, interesting and useful. This is important information you have shared. We often takes for granted our two little kidney 'beans'. My best friend had serious kidney issues and finally had to have one of hers removed. It was a scary time as she was very ill and we almost lost her. Thankfully she was airlifted from Okinawa to Fitzsimmons and was well cared for. She is living today with one healthy kidney. Because of her struggle to survive, our family has been more vigilant about taking steps to keep our kidneys functioning well. Well done, informative hub. Voted up. Congrats on hub of the day. I agree Om. When your body is stretched out and healthy, and you know you're taking care of it, it feels s0-0-0 good! One of the best little pleasures in life. That my friend is a very very good idea ...thanks! Good luck Meloncauli. I'm glad you found it helpful. Might I suggest purchasing a water filter to clean up your tap water? Long term it will be healthier and cheaper than buying bottled water forever. Randall - Thanks for reading. I look forward to seeing your healthcare articles. Great article and very fitting for me right now! With only one kidney left after tomorrow, it seems I will doubly need to make sure I drink enough water. I am not a big fan of water drinking but I aim to buy more bottled water in now as our tap water is vile! Thanks for the dedication! Interesting article about nephrology. Really digs into the anatomy and physiology of the urinary system. Awesome page, keep up the great work. I will be posting healthcare articles here soon. I sure am glad you survived it, Linda. Sounds like it provided some great learning for you, in addition to saving you money. If you or anyone else gets a chance to read it, the front page of the New York Times today has an interesting article on doctors charging 3 times more for drugs that patients pick up in their offices, rather than at the pharmacy. They're charging the insurance companies these extra costs, so the patient never knows, and the insurance companies are getting ticked off. I suffered from a painful kidney infection years ago, but didn't realize what it was until I went to a doctor for treatment. Now I understand the signals my body sends and make the necessary adjustments to deal with a variety of symptoms. That's saved a lot of $$$ over the years. Voted up, useful and interesting. It is so important to stay well hydrated! 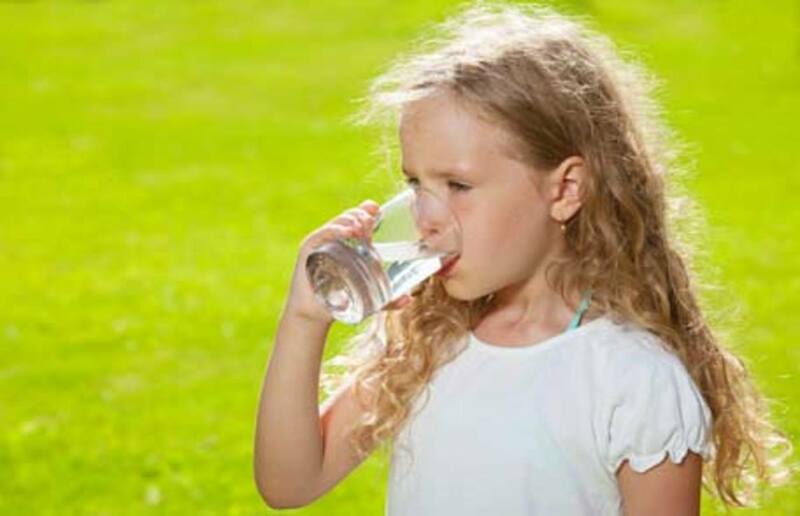 My older son often becomes dehydrated and it causes a lot of problems - we try to make sure he drinks enough every day. Kidneys health is very important! There's so much information on the Internet we can use these days. The same is true of good health maintenance info. And the same caveat goes: Check with your body as you read. It will tell you what makes sense for you. Oddly, I was just walking back from Starbucks and thinking I should stop trashing the medical profession. They do so much for so many people, including helping those who trust them more than they trust themselves. Thanks for the reply, and I believe we are looking at this with the same viewpoint. The medical school aspect that you mentioned about learning how to prescribe, can almost be done by the lay person using the Internet. The protocols, and the drugs for most maladies are there for the reading. I totally agree with you ib. And I'm with you, too krsharp05. I don't go to doctors, specifically because of the drug issue. I read a book once by a medical doctor who had a serious case of arthritis - so bad that she couldn't get up out of bed. She eventually healed herself, but with macrobiotics, not anything she'd learned in medical school or through her practice. In her book she talked about how influencial the drug companies are in medical schools. They finance research and poo-poo or suppress independent research that doesn't agree with theirs. They give massive grants to medical schools, such that now the majority of a doctor's training is on how to prescribe drugs - what they are and what they do and when to give what. I watched how doctors handled the aging of both of my parents, and it was all with drugs. This was a very well done compendium on the kidneys and their functions in the body. I agree that when the kidneys are working they do a great job. 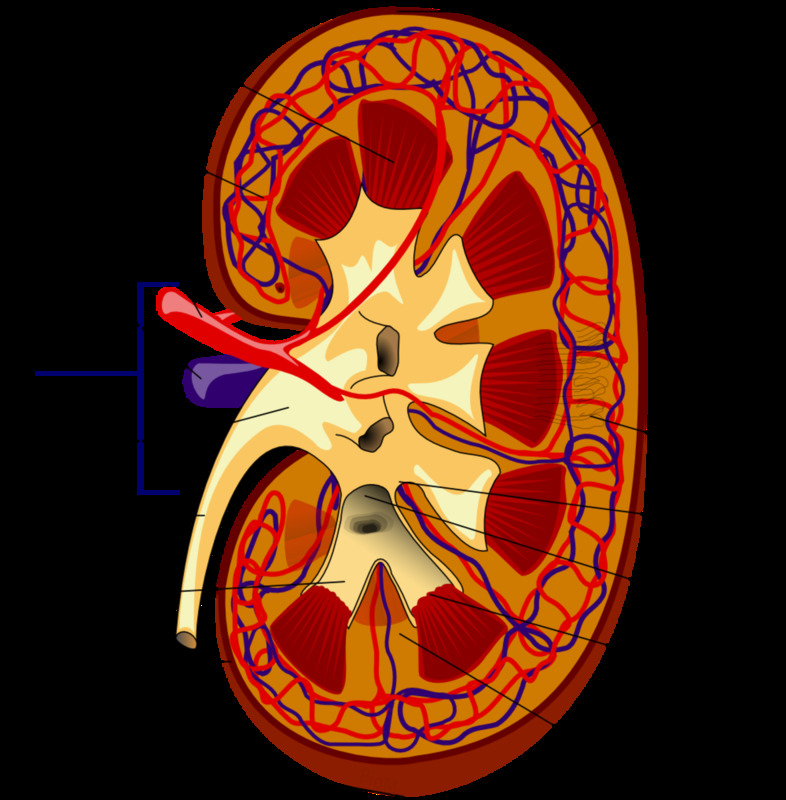 Unfortunately as we age the kidneys are one of the first organs that start to fail, or don't work efficiently. This is especially true in the elderly. A lot of the kidney problems start when the heart doesn't has problems and it doesn't pump the blood the way the body needs it. The kidneys then are at the mercy of the heart, and can not do the one hundred percent of their job. Additionally with the thousands of drugs out there many of the organs and messengers are doing more work than they do in a drug free body. Diuretics are like the mainstay of the doctor's prescription kit, and they are especially useful for edemas. Unfortunately, diuretics are hard on the kidneys, and many times the kidneys will fails while trying to reduce the edema with heavy diuretics. My lay opinion is that this happens because the doctors don't really know what caused the edema, so they just shotgun the malady with diuretics. Any stay in the hospital increase the chances of getting a bug, and then you are filled with antibiotics, sometime they give a string of them. This is all hard on the body, and the organs. The other thing that I have seen doctors have problems with is changing the acid to alkaline ph. They don't seem to know how to do it. I believe that many of the drugs are worthwhile, but very few of them do more than try to treat the symptoms. To really return a body to its healthy condition, you can't shotgun, and just treat the symptoms. You need to get to the root cause of the problem. 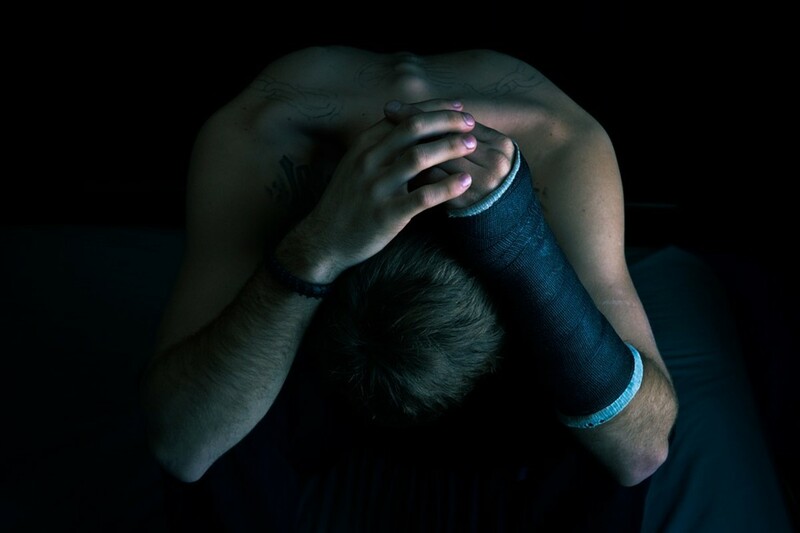 In many cases, I believe that the body is prevented from fixing itself because it was interfered with by drugs. The body and the brain are amazing but far from being a perfect design.